The Teltonika RUT955 Dual-Sim LTE Router is an extremely reliable and secure LTE router designed specifically for the professional and industrial market. The RUT955 delivers robust high-performance for mission-critical cellular communication and GPS services to remote sites and more. The Teltonika RUT955 provides peace of mind with seamless connectivity redundancy through Dual-SIM failover. Every job is unique so the external antenna connectors on the RUT955 allow you to attach the most suitable antenna for your application and best optimise the signal in your location. For customers not needing dual sim support, we also stock a similar LTE router at a lower price point - the Teltonika RUT240 LTE Router, please see our product page for more information. LTE support- Enjoy the freedom of an LTE internet connection, whether it's a camping trip, your home or office, a car journey or public transport the RUT955 has you covered. This compact router supports high speed LTE CAT4, which provides speeds of up to 150 Mbps for your leisure or business demands. 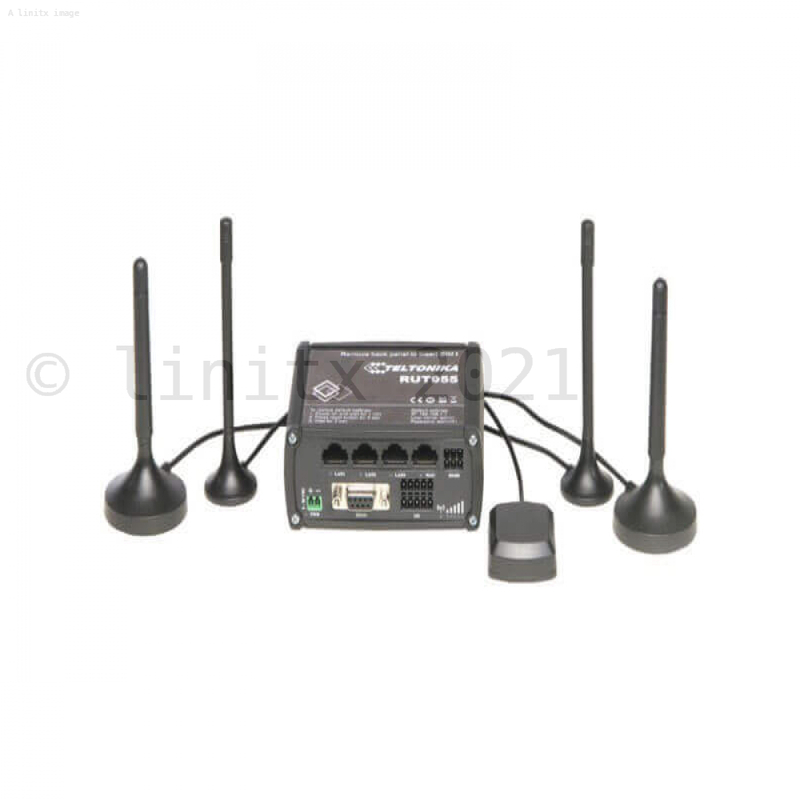 Wireless network- With built-in WiFi connectivity you can free yourself from cumbersome Ethernet-based on-site maintenance and streamline your installation with one less device. 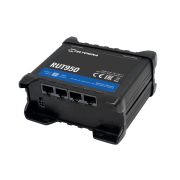 The RUT955 can also provide client WiFi connectivity. Input and Output- With configurable inputs you can monitor a wide range of external events such as, water level crossing its threshold or a simple door sensor. Receive alerts remotely either via SMS or e-mail. 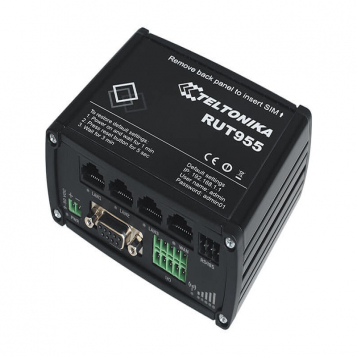 Dual-SIM slots- The Teltonika RUT955 provides peace of mind with seamless connectivity redundancy through Dual-SIM failover. RMS support- Manage your network of routers remotely. With the support of the centralised Teltonika Remote Management System you will be able to access, control and monitor all of your routers within a single platform. GNSS- GNSS positioning with geofencing functionality. 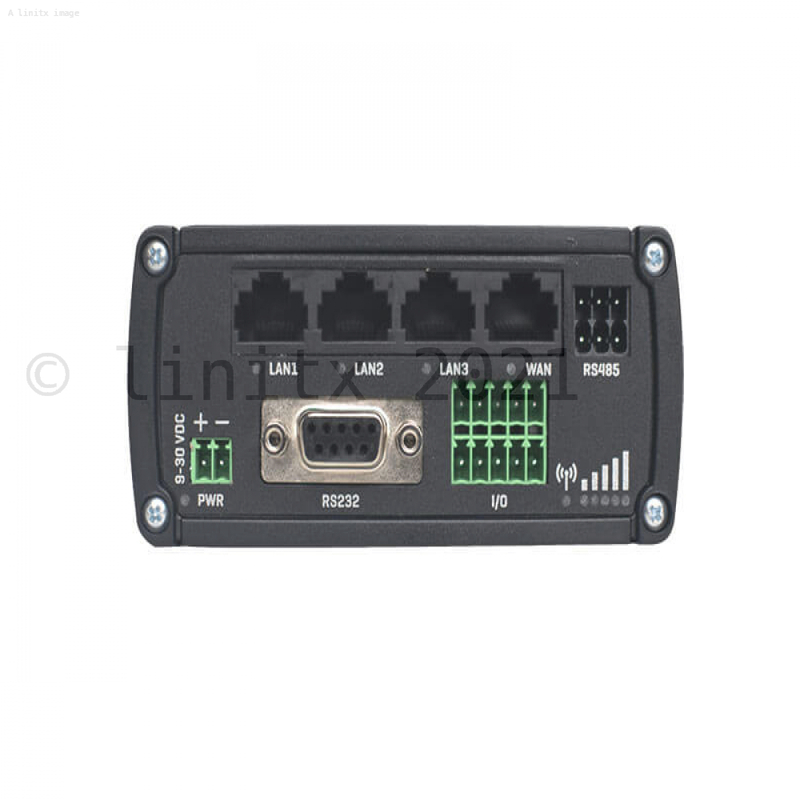 RS-232- RS-232/RS-485 serial communication interfaces. You can find the RUT950 datasheet here.